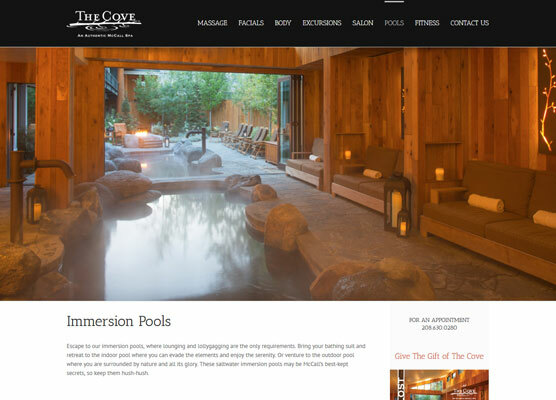 The Cove is a truly unique spa located at Shore Lodge in McCall, Idaho. The indoor/outdoor setting with granite immersion pools and elegant treatment rooms reflect the adventurous mountain setting in the Rockies. Recently awarded the Forbes Travel Guide’s 4 Star for excellence. 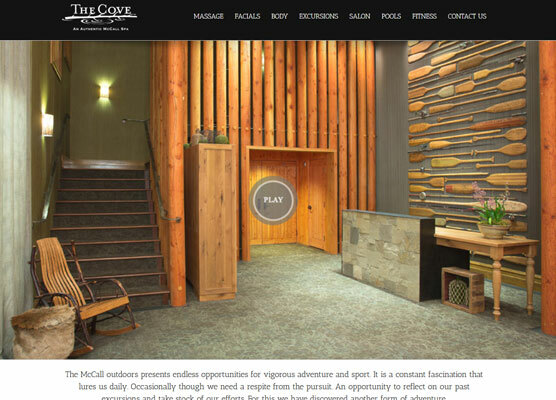 This new site was launched in September 2014.